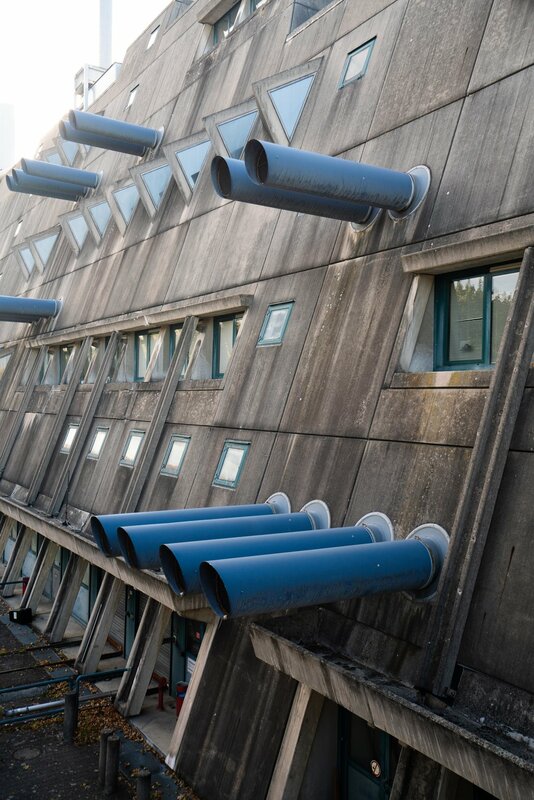 The central animal laboratories of the FU Free University by Gerd Hänska was planed 1966-72 and built in 1971-81. The so called "Mäusebunker", the central animal laboratories of the FU, built in 1971-1980. Together with his wife Magdalena he built the now Walt-Disney-Schule called school in Gropiusstadt in Efeuweg in 1968. Gerd was born in 1927 in Berlin, his wife Magdalena in 1924.